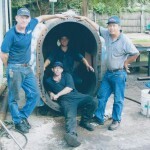 We offer electric motor sales & repair for various types of pump and blower equipment in Orlando, FL. Many types of construction equipment, vehicles, and other tools contain electric motors. These motors can be very helpful when using them to pump materials in or out of an area, such as in the use of a sump pump or pump truck, but if the motor suddenly stops working, you may have a big problem on your hands. Electric motors are typically pretty reliable, but they do contain bearings and brushings that can both give out and require repair. 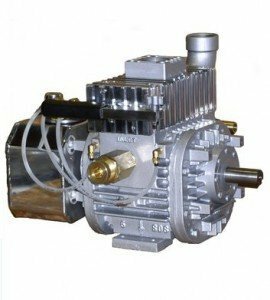 At Pat’s Pump & Blower, we offer electric motor sales & repair for various types of pump and blower equipment. We are located in Orlando, Florida and offer free on-site inspections for electric motor sales & repair, as well as many other services. This is beneficial for many of our clients, since it can take a lot of time and manpower to bring large and heavy pieces of equipment to a shop for repair. We have almost 30 years of experience in the electric motor sales & repair industry, so we can solve your problems quickly and efficiently. We also offer 24-hour emergency service for sudden and critical malfunctions. Our focus is on customer service, so we strive to leave every client feeling satisfaction that his or her problem was fixed at a reasonable rate. We are a leader in the industry, and we work with all types of clients, ranging from commercial to residential to industrial. We have lead technicians who can help with any repair or find you the perfect piece of equipment for your business.